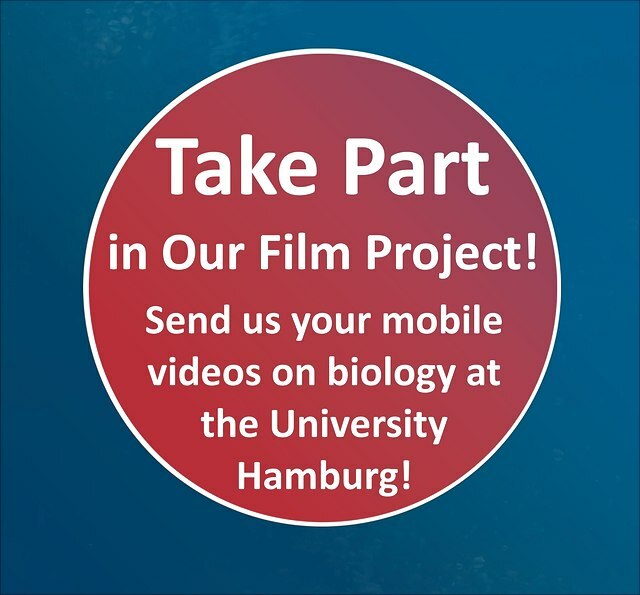 To celebrate Universität Hamburg’s 100th anniversary, the Department of Biology has initiated the project “Diversity in 100 Short Films—Biology at Universität Hamburg.” Throughout 2019, the project will create 100 short films about diversity and the Department of Biology, and publish them in stages on the Department’s website. The 2- to 3-minute films address the general public, but also offer subject-specific information. The films will focus on biology itself, the protagonists’ relationships to biology, the Department of Biology as a place of learning or work environment, and the meaning of biology for science and society. Professors, staff, and students, as well as other university institutions, cooperation partners, and research funding sources are invited to submit their film clips. The films will deal with current, historical, and future issues. We want your film clips from the Department of Biology.